Cruset Herbal Magic Hair Colour M1/M2/M3 25 ml. ครูเซ็ท เฮอร์เบิล เมจิก แฮร์คัลเลอร์ 25 มล. 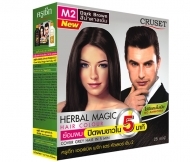 CRUSET Herbal Magic Hair Colour 25 ml. Perfectly covers grey hair in 5 Minutes, experience results of intense and long lasting with refreshing scent in special formula NO AMMONIA in all shades. Our unique formulation enriched with great Herbal Extracts. 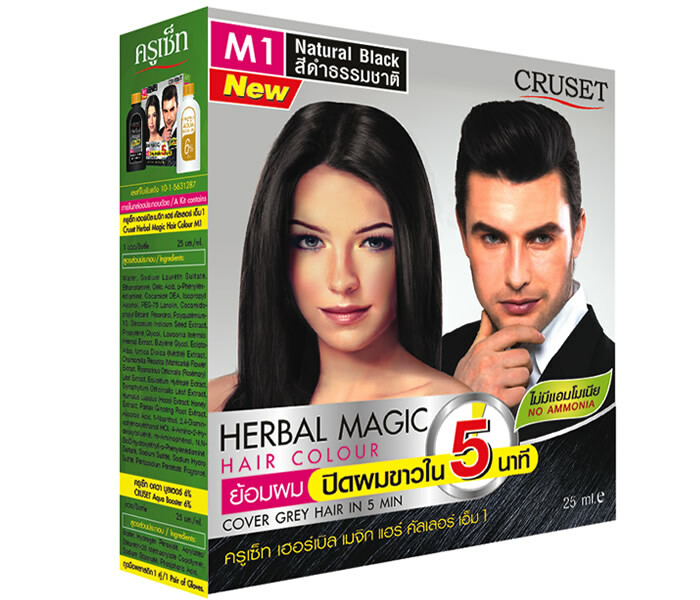 well known in the ancient days; Henna, Black Sesame, Eclipta Alba, Chamomile and Ginseng help create truly dark natural looking.